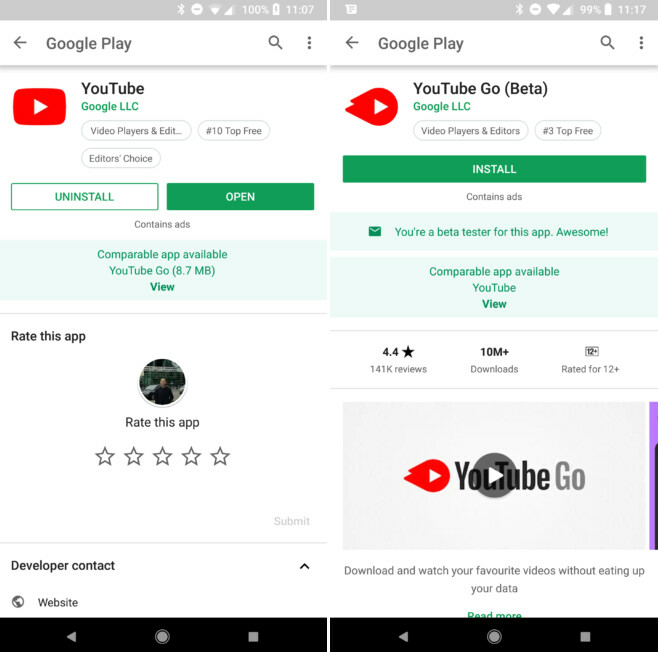 Google has started to promote Lite and Android Go versions of apps inside the Google Play Store. For example, if you are thinking about installing the Facebook app, you'll see a little reminder on the Facebook listing telling you that Facebook Lite is an option for your phone. 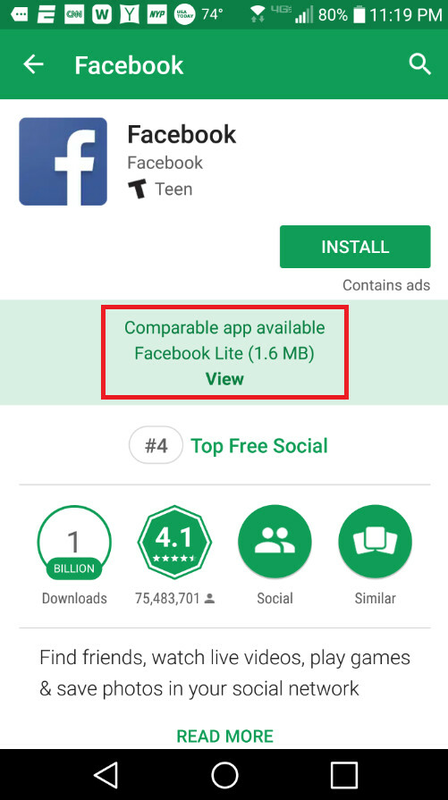 The Lite version of the social network weighs in at just 1.6MB compared to 60MB for the full version of the app. Tapping on "view" under the reminder takes you to directly to the Facebook Lite listing. Other Lite apps include Skype Lite and Twitter Lite. Also being recommended in the Google Play Store are Android Go apps. These are apps made for Android Go handsets, which typically have only 1GB of RAM and are priced at under $100. 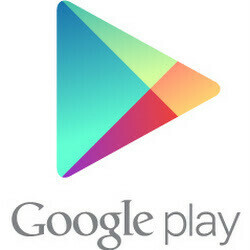 Many of Google's most popular apps like YouTube, Gmail, Google Maps and Google Search have "Go" versions. And on some phones, if you check out the listing for the full version of these apps, you'll see a reminder that the "Go" version can be installed using much less storage space. Keep in mind that some Lite apps are not available in the states, or on certain handsets. Check out the images that accompany this story to see what these reminders and recommendations look like. Why can't we uninstall existing heavy apps and install go versions? Go or lite apps are meh. Youtube Go doesn't have Trending and subscriptions tab and doesn't have playback gestures. Are you sure you understand the purpose of the Lite/GO apps? I'm not sure you do. They aren't meant to have all of the functionality, because if you wanted that, then you wouldn't install the Lite/GO apps but the full versions. They're meant to be smaller and easier to run for the smartphones. I personally think Facebook lite and Twitter lite etc. are fine.